PLOVER, WISCONSIN, UNITED STATES, July 6, 2018 /EINPresswire.com/ -- Though women make up just under eight percent of the driver population, the number of women in trucking is steadily increasing. Many companies are now making extra efforts to recruit women to be truck drivers. The Women In Trucking Association is a non-profit organization dedicated to encouraging the employment of women in the trucking and logistics industry, promote their accomplishments and minimize obstacles faced by women. 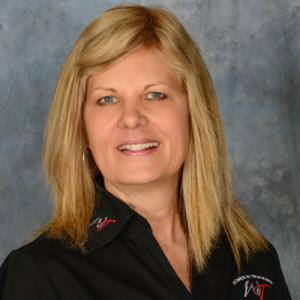 Founded in 2007, through the support of thousands of transportation-related companies, drivers and dedicated individuals, the Women In Trucking Association has made significant strides in accomplishing its mission. The Women In Trucking Association is committed to bringing gender diversity to the transportation industry through education and advocacy. Voie says the industry is expected to attract more women because safety is a priority. New technology is making trucks safer for drivers every day, which will help attract more women and millennials. CUTV News Radio will feature Ellen Voie in an interview with Jim Masters on July 10th at 4pm EDT.